On this 3-day scuba diving adventure in Bali, you'll complete the world's most popular scuba diving course, the PADI Open Water Diver course. By completing 4 ocean dives of about 45 minutes each, you'll explore the depths of the Bali Sea by diving as deep as 60 feet. But before you head out to the open sea, a certified dive instructor will prepare you through active classroom sessions and swimming pool training at the dive centre. At the end of the 3 days, you'll earn the PADI Open Water Diver certification and get officially tagged as a scuba diver. NOTE: As part of the PADI Open Water Diver course in Bali, you will be expected to swim for about 600 feet and float in open water for 10 minutes. Nusa Lembongan, a small island just off the coast of Bali, is surrounded by tropical waters of the Bali Sea with high underwater visibility. The healthy, undamaged corals that line the floor of the Bali Sea are also home to a vibrant marine life that includes frogfish, moral eels, schools of silversides, unicornfish among several other small, brightly-coloured species of reef fish. Combined with easy access to dive spots, the island attracts recreational as well as experienced scuba divers from all over the world. • Embark on 4 ocean dives as deep as 60-feet for 45 minutes each. 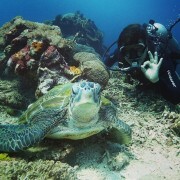 For cancellations more 2 days or more before departure of the Open Water Diver course in Bali: Full refund. For cancellations made between 0-1 days before the departure of the Open Water Diver course in Bali: No refund. Divers are required to complete a medical checklist before diving in Bali. Divers suffering from asthma, heart conditions, diabetes and/or are pregnant cannot dive without written clearance from a doctor. In case of bad weather, the operator will reschedule the trip and will not be liable to pay a refund to any diver. There is no pick-up for this scuba diving course in Bali. There is no drop-off for this scuba diving course in Bali. 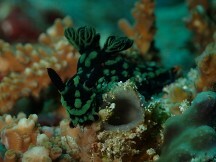 Report to the dive centre at Nusa Lembongan by 07:00 hrs. Here, you'll meet your diving instructor and begin the training with classroom sessions. You'll interact with the instructor and engage in Q&A to learn the basic theory and principles of diving. After lunch, you'll enter the swimming pool and practice the skills learnt by applying them in the safety of the training pool. You'll learn how to navigate underwater and how to handle the scuba equipment. Your training for the day will end by evening. Spend the rest of the day at leisure. Today, you'll have a quick briefing session with your instructor at the dive centre before heading out to the dive spots around Nusa Lembongan. Accompanied by your instructor, you'll dive as deep as 60 feet for two ocean dives of about 45 minutes each. When you're underwater, you'll navigate the deep, blue sea and test your diving techniques in open water. A packed lunch will be served at the boat as you take some time to rest between the two dives. Return back to mainland after the two dives. You can spend the rest of the day at leisure. Today, you'll return back to the waters of Nusa Lembongan and take a ferry/boat ride to a few other dive spots around. You'll undertake two more open water dives of about 45 minutes each that'll take you 60 feet under the Bali Sea. After the two ocean dives of yesterday, you'll feel even more confident in your diving abilities, even though your instructor will always accompany and guide you throughout the trip. Between the dives, you'll spend some time resting on the boat, having a packed lunch and preparing for the next dive. At the end of your dives, you'll return to the dive centre for a short examination and to complete the paperwork for your PADI certification. Your trip ends here. Swim alongside schools of brightly coloured fishes. No accommodation is provided throughout the trip. Today's meal package includes lunch served at the dive centre between classroom session and pool training. No accommodation is provided throughout the trip. Today's meal package includes a packed lunch served on the boat between the two open water dives.